From the Gloucestershire Echo on Saturday 7th September 13. It seems like councillors don’t like the JCS but they were forced to publish it because of fear of a developers free for all if no plan is in place. This is a sorry state of affairs. We vote in these people yet this unpopular plan is forced through on both our democratically elected representatives and on the public. It is driven by the officers in the council who are not elected. VEHEMENT criticism from political parties in Cheltenham was not enough to derail a housing blueprint which will see thousands of homes built on green belt land. Councillors agreed through gritted teeth to endorse a plan which will see 33,449 homes built across Gloucester, Cheltenham, and Tewkesbury between 2011 and 2031. Cheltenham Borough Council follows Tewkesbury in approving the plan, and Gloucester’s full council votes on it on Thursday evening. Cheltenham’s marathon meeting at the Municipal Offices, lasting more than four and a half hours, eventually finished on Thursday night with a narrow vote in favour of sending the plan out for consultation. But many councillors during the session suggested the decision to vote in favour had more to do with fearing the consequences of a “no” vote. 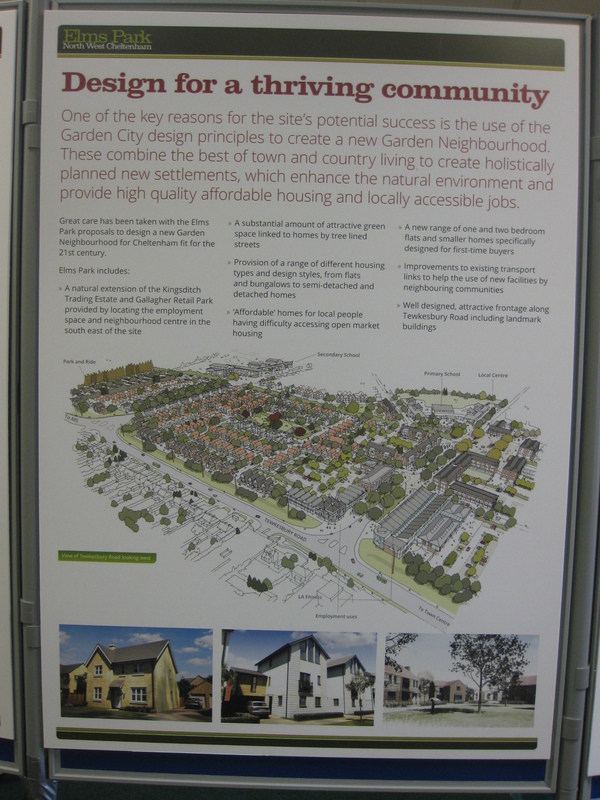 Gloucester’s planning policy sub-committee agreed with the JCS plan on Wednesday ahead of its hearing at full council. Voting on the publication of the Joint Core Strategy was carried out by Tewkesbury borough council yesterday. They voted 19 for vs 13 against, so it went though. This plan will see the greenbelt boundary changed around Cheltenham to accomodate 4500 homes to the NW of Cheltenham and in Churchdown. If both Gloucestershire and Cheltenham vote it through it will be published for consultation and these horrific plans will be closer to coming to pass. This is not sustainable growth. The plan is to such in a young workforce from other area (presumably) so that we can support the growing elderly population. That makes some sense in a selfish kind of way, but what about those regions which lose those young people. It is blantantly self evidently we cannot keep growing, and keep building on greenfields, since we will have no place to grow our food, nowhere to give us fresh water, no where to find resources, no where to enjoy to countryside. We will cover the whole country in Urban sprawl? Councillor Jim Mason (C, Winchcombe) mentioned the several large housing developments, such as around Bishops Cleeve that were rejected by councils but overturned on appeal. He said that this lack of a local plan was giving a free for all for developers and that publish one would prevent this applications being overturned on appeal. Well, may be some, but not with the adsurdly high housing figures and plan to move the greenbelt in the current draft JCS. He even said we should vote it through to the public can be consulted. But we were consulted in the housing options previously, 90%+ voted for the lowest housing figures (option A) but yet the report we have to vote on has roughly doubled that figure driven more by the unsustainable ambition of economic growth and immigration rather than local need. Plans for large scale building around Cheltenham now looks closer, the battle lines are being set as the council announces plans for 33,449 homes across the three areas before 2031 with the publishing of its housing assessment report, see http://www.gct-jcs.org/EvidenceBase/AssessmentofHousingRequirements.aspx. “STAND firm and defend our greenbelt land” was the defiant call from community leaders in parts of Cheltenham set to be affected by plans for tens of thousands of homes. People living in parishes such as Uckington, Elmstone Hardwicke and Up Hatherley have vowed not to give up without a fierce fight in the face of the threat of massive housing developments in their areas. It comes after council bosses unveiled plans to solve Cheltenham, Tewkesbury and Gloucester’s housing crisis by building 33,449 homes across the three areas before 2031 – with more than 3,500 acres of precious greenbelt land earmarked for homes. Michael Griffiths, chairman of Uckington parish council, said residents would be determined in their opposition – with as many as 4,829 of the homes planned for nearby land to the north west of Cheltenham. He urged planning authorities behind the blueprint to prepare themselves for a fight. He told the Echo: “People living here have always considered this a rural setting. “That is one of the main reasons why my wife and I chose to move here some 40 years ago and I’m sure many other people came here for the same reason. “Building so many homes here would change that completely. It would mean we become part of Cheltenham. “I’m not happy about the scale of proposals and don’t see why we should bear the brunt of the town’s housing needs. The vast majority of homes pencilled in for north west Cheltenham would be contained in Elms Park, a 4,500 home development between Elmstone Hardwicke and Swindon Village for which outline plans went on display earlier in the summer. Campaigners from Save The Countryside have already vowed to do all they can to stop it from going ahead. The mood of defiance was echoed by David Cooper, clerk to parish councils in Uckington, Elmstone Hardwicke and Boddington – all villages which would be in the eye of the development storm. “This would alter the landscape here totally,” he said. “I would expect a considerable amount of opposition from residents. North west Cheltenham is not the only area now in the sights of beady-eyed developers. Green fields in Leckhampton could see 1,075 homes built, the former MOD site at Ashchurch has been earmarked for 2,125 homes and a swathe of land off Up Hatherley Way has been targeted for 795 homes. Stuart Fowler, chairman of Up Hatherley parish council, warned residents they must be sensible in their opposition. “At a time like this, emotion is no good,” he said. “We will have to rely on cold, hard, scientific argument if we are going to launch meaningful opposition. However, I think one word worth emphasising at this point is ‘sustainability’. 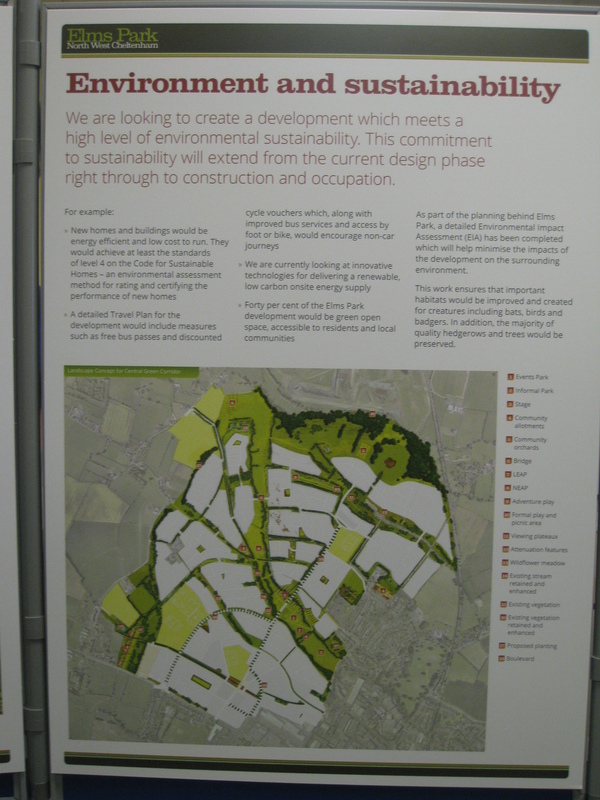 These are the display boards as I saw on the evening consultation. The order isn’t correct but that isn’t too important. Please feel free to make comments on your experiences of the exhibition at the bottom of the page. Thanks! CONTROVERSIAL proposals to build 4,500 new homes to the north west of Cheltenham will go on public display for the first time today. If you missed it see it here www.elmsparknwc.co.uk. 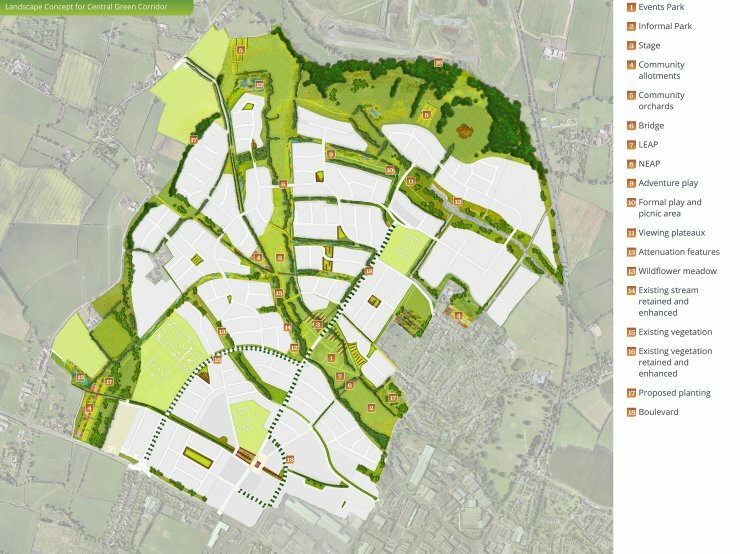 Earlier this month, the Echo unveiled a first glimpse of the £1.75 billion plans from developers Bloor Homes and Persimmon Homes for 700 acres off Tewkesbury Road, between Kingsditch Trading Estate and Uckington. The new estate, which would be called Elms Park, would have the potential to be as big as Bishop’s Cleeve, comprising a business park, two new primary schools and a secondary school. However, countryside campaigners have vowed to fight to protect the land, part of Cheltenham’s greenbelt. 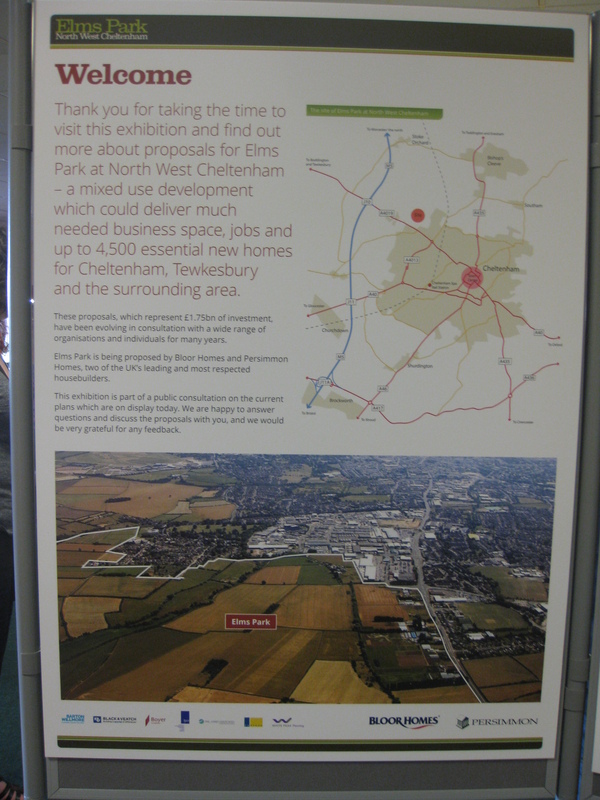 Representatives from the developers will be on hand at Cheltenham Civil Service Club, in Tewkesbury Road, at a public exhibition today from 2pm to 8pm today. Further displays will take place at the same time tomorrow at Tewkesbury Town Hall and on Saturday from 10am to 4pm in Unit 11 of Cheltenham’s Regent Arcade. 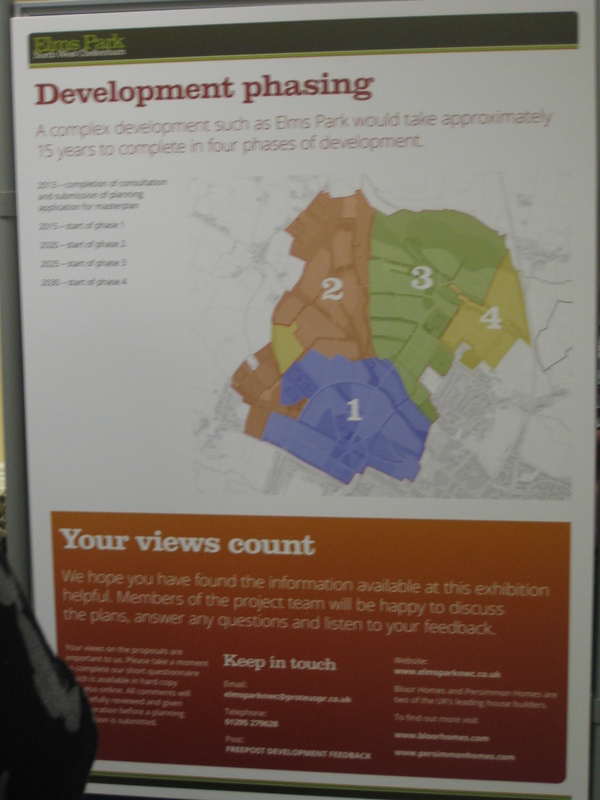 Steve MacPherson, technical director, Bloor Homes, said: “We are looking forward to sharing our proposals for Elms Park. A range of project plans and information will be on display at the events, including the draft masterplan which sets how all the distinct elements of the proposed community at Elms Park would be delivered. These include new schools, local shops, sports fields, footpaths and cycle ways, healthcare facilities, a Park & Ride scheme and public improvements, as well as a 10 hectare Business Park and up to 4,500 houses. Anyone unable to attend the exhibitions can visit the website to view details at www.elmsparknwc.co.uk. A £1.75 billion development which could see up to 4,500 homes built in north west Cheltenham has been unveiled. The site, which would be called Elms Park, would be built on 700 acres of greenbelt land off Tewkesbury Road, between the Kingsditch Trading Estate and Uckington. It would also see the creation of a new business park, a 600 space park-and-ride, two new primary schools and a secondary school with sixth from. Developers Bloor Homes and Persimmon Homes have spent more than six years preparing the scheme and they are set to host a series of public exhibitions to gauge public reaction. 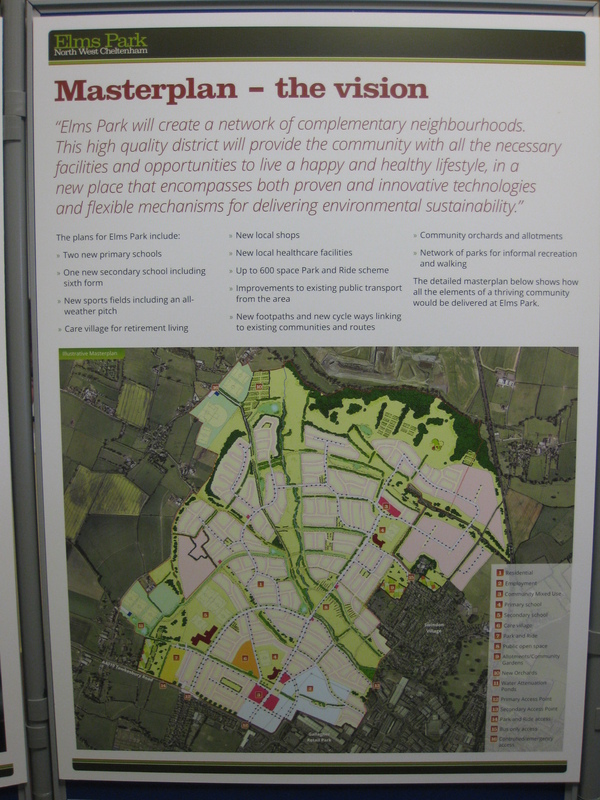 Elms Park has the potential to be roughly the same size as the nearby village of Bishop’s Cleeve and would go a long way to helping solve the town’s reported housing crisis. The homes would be built in three 1,500 unit phases and up to 40 per cent could be designated as affordable. This would be a mix of rental and shared ownership properties, the equivalent of approximately 1,800 homes. There is also specific provision set out in the scheme for the elderly with some form of warden-assisted living planned. A similar scheme was put forward in 2009, but was postponed. The north west site is already earmarked for housing, with planning documents held by Cheltenham Borough Council suggesting a housing capacity of 4,500. However, the fact the land is entirely greenbelt is likely to draw the ire of countryside campaigners, determined to ensure green fields are preserved for future generations to enjoy. The developers hope protestors might be appeased by plans that would see nearly 40 per cent of the site kept “green”. This would be equivalent to nearly 300 acres and would come in a mix of informal and formal green space, including a large park which would run through the middle of Elms Park. Steve MacPherson, technical director for Bloor Homes, said: “As well as being able to provide some of the vital housing and business space needed for local residents and their future generations, the Elms Park site at north west Cheltenham benefits from its unique ability to offer space for a range of essential infrastructure, including education, transport, leisure and community facilities, in a single well planned location. The developers have said none of the built area would be constructed in the flood plain and that they had undertaken “extensive modelling” to figure out the best way to drain the site. The only access to the new houses for motorists will be off Tewkesbury Road, raising questions about the potential impact the development could have on the busy street. There would be a major investment in transport services with a number of new bus services being proposed. 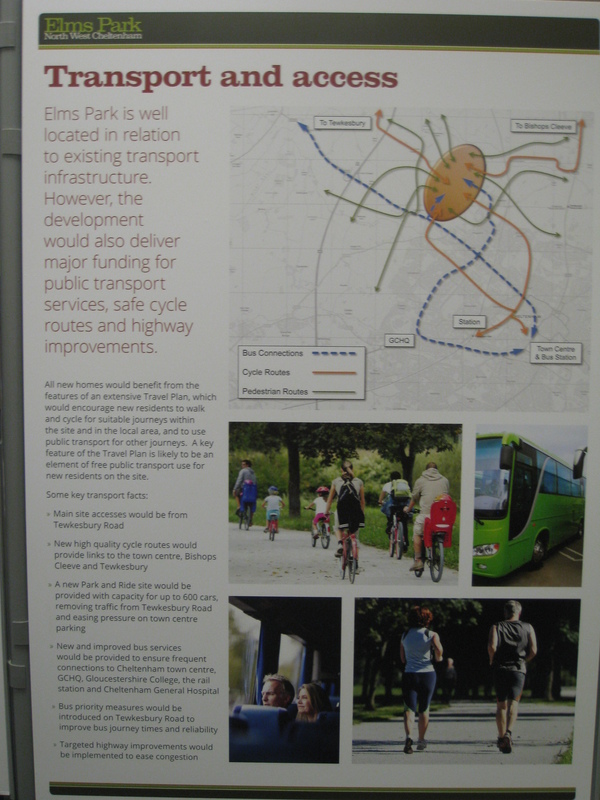 The build time for Elms Park has been estimated at between 10 to 15 years, from start to finish. The development would also feature some as-yet-unspecified healthcare provision and numerous sports pitches. Nearly 40 per cent of the development site would be kept as informal and formal green space. There would be a mix of parks and sports facilities which would include numerous sports pitches for football and possibly cricket. The development would occupy 700 acres and nearly 300 acres of that would be kept as green space. There would be one big park running through the middle of the development. There would also be space for dog walking. 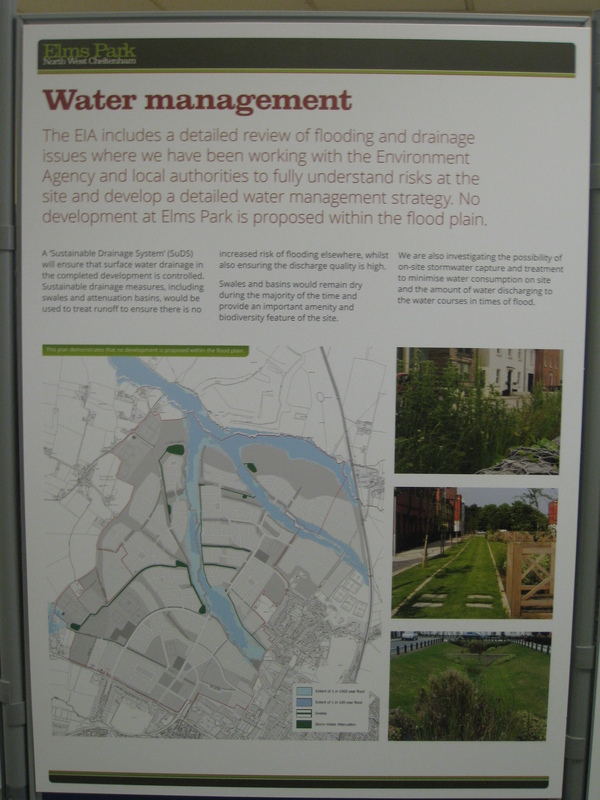 Full details of the Elms Park proposals will be on display at a series of three public exhibitions later this month. Wednesday, June 26, 2pm – 8pm, Cheltenham Civil Service Club, Tewkesbury Road. Following consultation, a planning application will be submitted in the next few months. All of the site is currently designated as greenbelt. The north west site has been earmarked for housing for a long time. 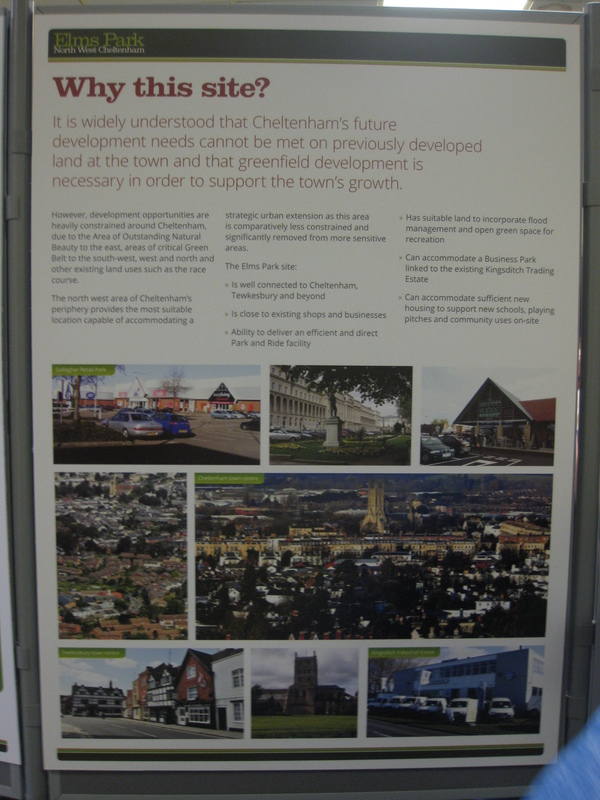 It is identified in Cheltenham Borough Council planning documents with the suggested capacity of up to 4,500 homes. There would be a new park and ride close to the motorway with up to 600 spaces. The only access for cars to the development would be from Tewkesbury Road. There would be no vehicular access to Elmstone Hardwicke from the development. There would be a road into Swindon Village from the development, but it would only be for a bus link and pedestrians – no cars. Existing junctions “offsite” could be changed to give buses priority as part of multi-million pound investment in transport. An internal circular bus route would be created to serve the development itself. More bus services would be brought in with a potential shuttle into the centre of Cheltenham. Measures to encourage cycling are also being considered. The development would include two new primary schools. There would also be a new secondary school with sixth form. It is thought the secondary school would be built half way through the overall build. JCS update at Parish Assembly on 28th May – be there! 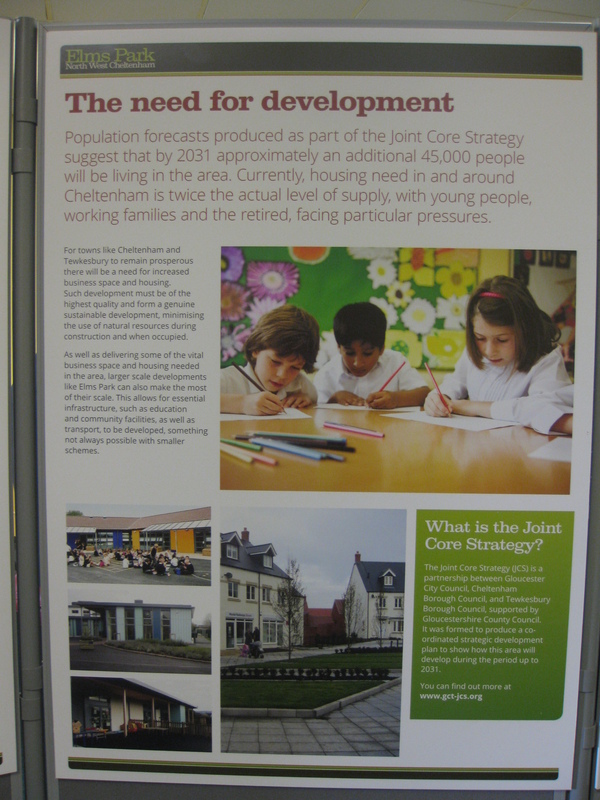 Tracey Crewes (from Cheltenham Town Council) will be attending and providing an update on the JCS at the Parish Assembly on 28th May, at Swindon Village School. I would like to suggest that we all get as many like-minded residents to come along and hear what she has to say.